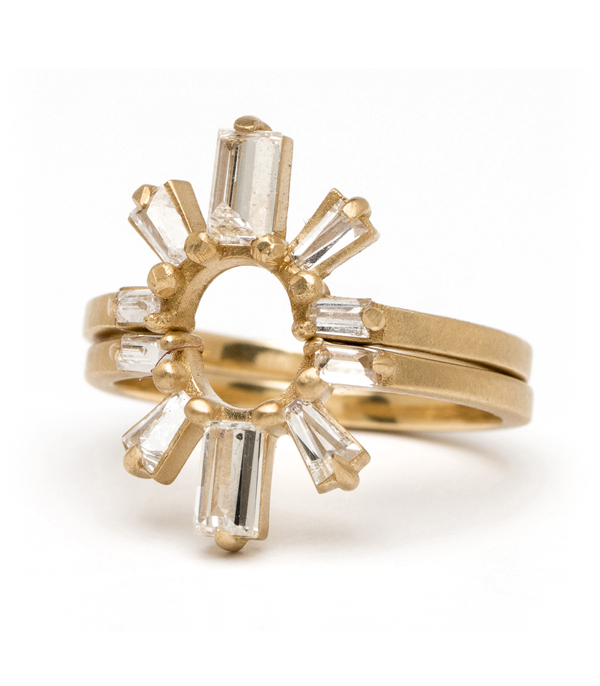 As inspiring as a sunrise our 14K matte yellow gold, diamond baguette Sunrise Ring adds rays of sparkly joy to our day. 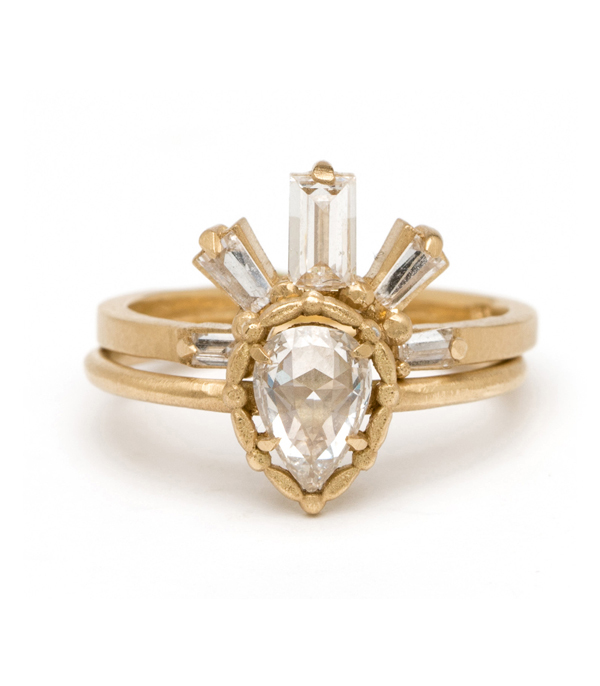 A mixture of five tapered and straight diamond baguettes (0.50 ctw) are inverted set into the rays of this design, creating a unique prismatic effect. 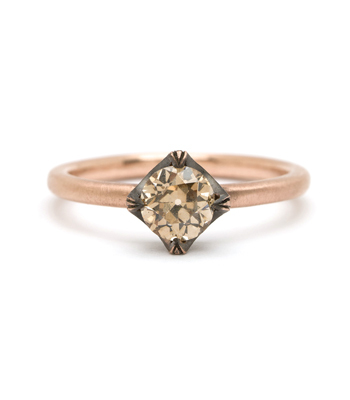 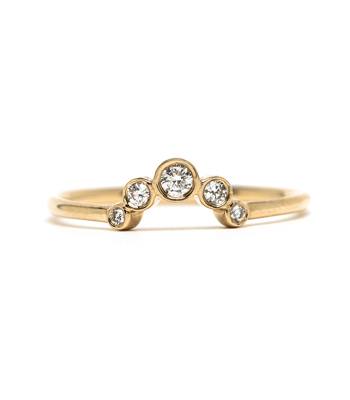 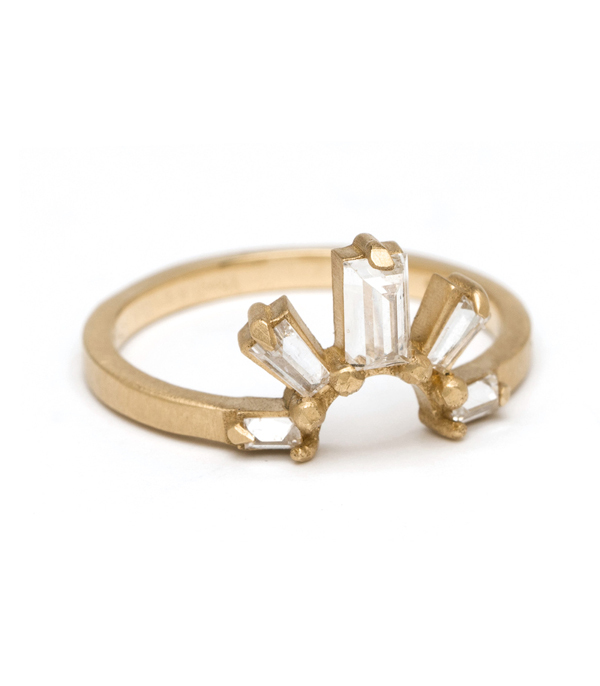 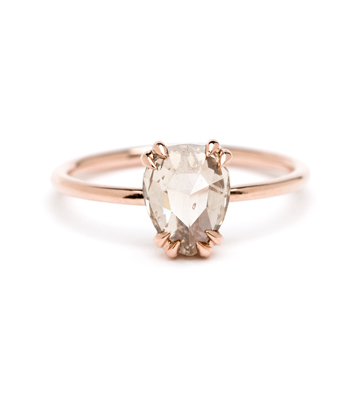 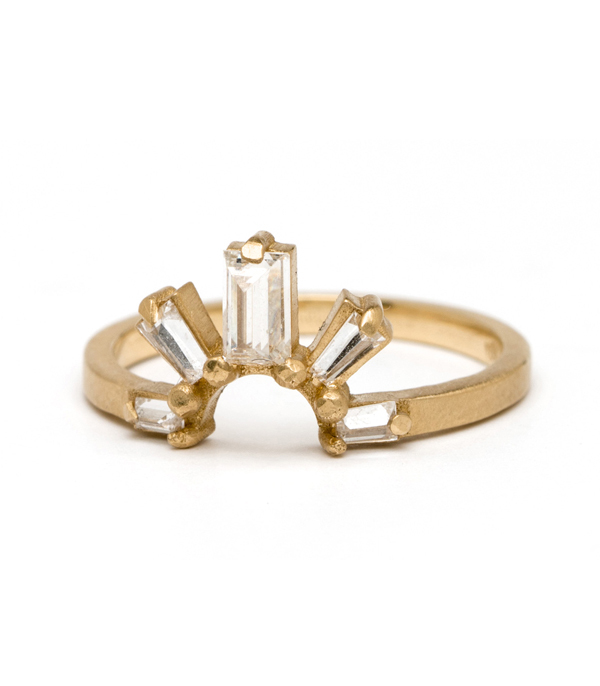 This ring looks stunning on it’s own, but we also love that it gives you many creative wearing options. 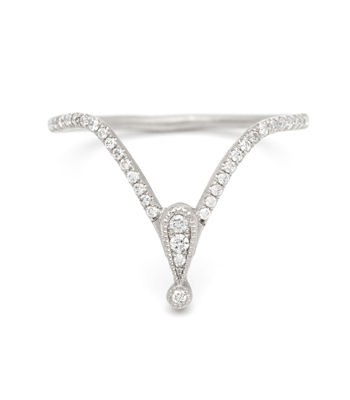 Pair with a solitaire as a unique wedding band, or wear two facing each other for a dramatic look. 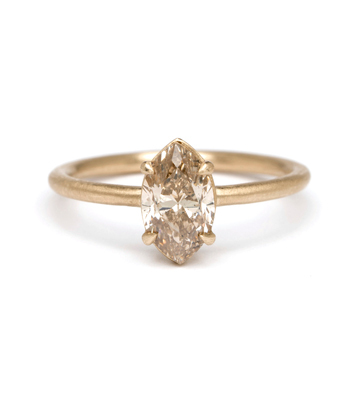 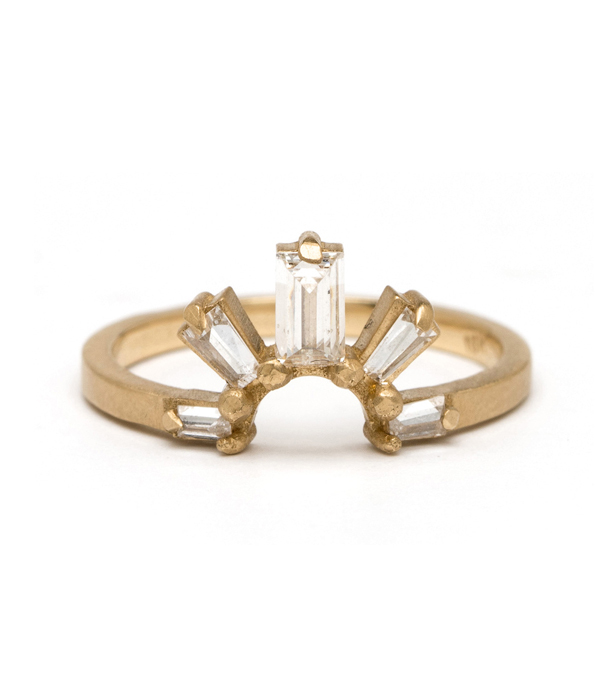 Any way you slice it, this ring is a slice of heaven! 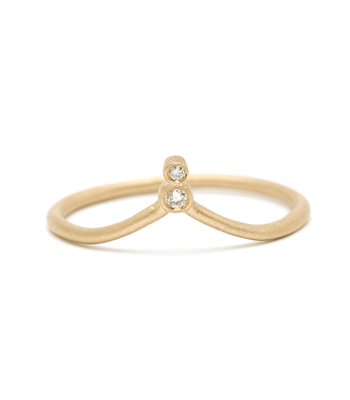 Categories: Aria, Maria's Favorites, Nesting Bands, Rings, Stacking Rings, Women's Wedding Bands.